Retail stores are faced with the difficult task of reducing and recovering merchandise losses due to theft. This problem is exacerbated with highly desirable electronics available in small packages. Given this situation, loss prevention managers are faced with a difficult task. Typical security measures are expensive and/ or require frequent attention. 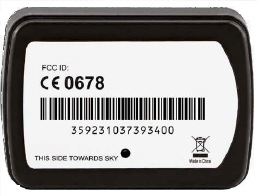 RTS’s Loss Prevention Solution combines real-time GPS tracking technology (gTrack™) with real-time monitoring/alerting application (vMonitor™). This solution provides the necessary tools for successfully monitoring high value items with minimal recurring effort, no local infrastructure, easy setup, 24/7 monitoring/alerting and flexible configuration. 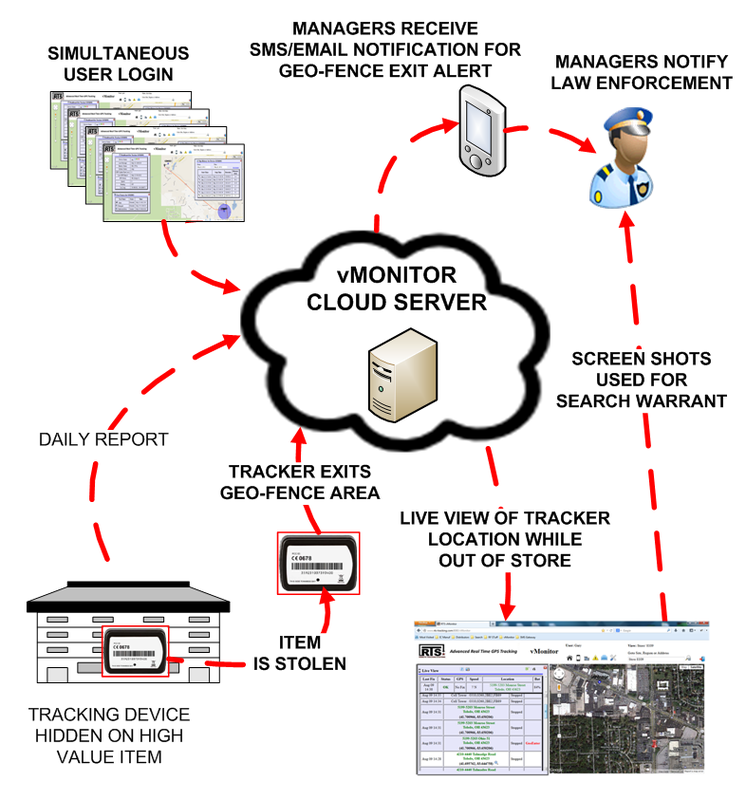 Ideal for Loss Prevention Applications, vMonitor™ can monitor and track over 1000s of assets. At the same time, gTrack™ addresses store personnel challenges of maintaining properly charged devices.